With CES 2014 over, our attention now turns to the upcoming products that companies have lined up for consumers in the next coming months. Of those upcoming products, the Samsung Galaxy S5 is rumoured to be be hitting our screens around March during a London-based event. The yet to be announced Galaxy S5 is reportedly set to feature a high capacity 2900mAh battery which will be able to charge in less than 2 hours. Not only will the new larger capacity battery be able to offer a bigger charge than the current Galaxy S4, but it will also be able to go from 0% to 100% in a lot less time. Despite the increase in capacity, the new 2900mAh battery set to be included on the Galaxy S5 is actually said to be no more physically bigger than the current 2600mAh battery on the Galaxy S4, storing 20% more capacity without any size modifications. The increase in capacity without compromising size, as well as the faster charging capability, is said to be achieved by technology from Stanford research whereby a silicon anode is used instead of the typical graphite one. The problem with silicon anodes is that the compound is amazing for high battery capacity, but swells up to three times its size while soaking up lithium ions from the battery fluid, before shrinking back down when discharging them. All this movement quickly creates tiny cracks which degrades the battery. Stanford have creator a polymer, however, that seals the silicon, filling the fractures when they appear. The technology has been rapidly applied to mobile smartphones and electric vehicles to test its real-world application and durability, but if rumours are correct and the Galaxy S5 is set to feature it, it would appear the kinks have been worked out of the technology. 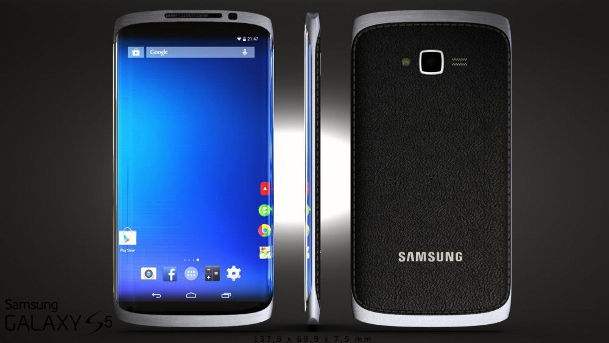 Samsung are yet to confirm any details regarding the new Galaxy S5 but it is rumoured to feature a 5.25-inch display with 2560 x 1440 resolution, an Exynos 6 / Snapdragon 805 CPU, 16-Megapixel camera, and will run the latest version of Android 4.4 KitKat, which of course you can expect TouchWiz to have been applied on top of.